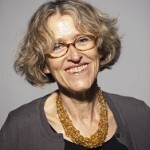 Theresa Marteau is Director of the Behaviour and Health Research Unit at the University of Cambridge. Her research focuses on the development and evaluation of interventions to change behaviour (principally diet, physical activity, tobacco and alcohol consumption) to improve population health and reduce health inequalities, with a particular focus on targeting non conscious processes. Other research interests include (a) risk perception and communication particular of biomarker-derived risks, and their weak links with behaviour change, and (b) acceptability to publics and policy makers of government intervention to change behavior. 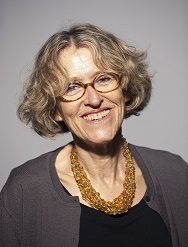 She is Director of Studies for Psychological and Behavioural Sciences at Christ’s College, Cambridge. She supervises Introduction to Psychology in Part 1A of the Psychological and Behavioural Sciences Tripos. Hollands GJ, Bignardi G, Johnston M, Kelly MP, Ogilvie D, Petticrew M, Prestwich A, Shemilt I, Sutton S, Marteau TM. (2017) The TIPPME intervention typology for changing environments to change behaviour. Nat. Hum. Behav; 1:0140; 10.1038/s41562-017-0140.